Sweet Potato is the greatest vegetable ever in my humble opinion. It’s so versatile! I’m always on the hunt for new sweet potato recipes, but one of my favourite go to sides are these healthy sweet potato wedges. They are so easy to make, and they taste absolutely divine. Sweet Potato is my all-time favourite vegetable! If you’ve been following me for awhile you’ll know it’s the hero ingredient in quite a few of my recipes, like my Sweet Potato, Lentil & Chickpea Curry, or my Vegetarian Sweet Potato Nachos. And then there’s these sweet potato wedges. They are the perfect combination of soft and crispy, and they are so damn easy to prepare too! 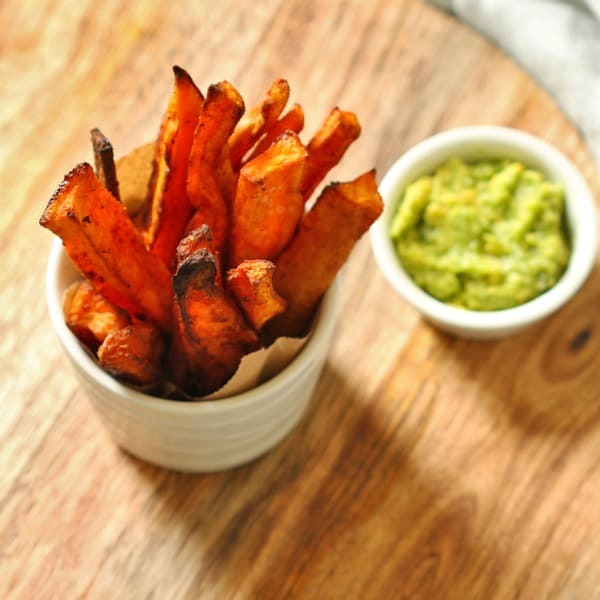 These sweet potato wedges were actually my very first recipe on the blog! Back before I knew anything about blogging and way back before I knew anything about food photography. But what I did know was that these wedges are winners! So it was about time I popped some photos on here that gave them justice! They make the perfect side to just about any protein I can think of, or nestled in a buddha bowl, or just on their own, with a side of my quick and easy guacamole (try it!). Crunchy on the outside. Soft on the inside. Just the way all good sweet potato wedges should be! Give them a try for dinner tonight! Bake for around 20 minutes. After the first 10 minutes, remove baking tray and use tongs to turn over all the wedges. Return to the oven and bake for another 10 minutes, or until they are browned. Serve as a side to your favourite protein, in a buddha bowl or just on their own! 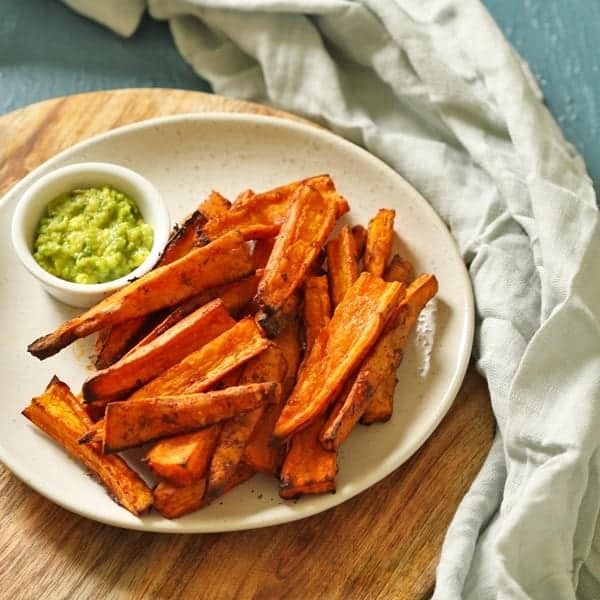 My favourite way to enjoy these wedges is with a side of my quick and easy guacamole. Just trust me and try it! Nutrition info is for 1 serve or half the batch. These got me through my whole30 too! Good luck with the rest of it – it’s hard going!